Smart Insights is the brainchild of Dr Dave Chaffey who, according to the Chartered Institute of Marketing, is "one of 50 gurus who has shaped the future of marketing". He has consulted on digital marketing strategy for over a hundred businesses including Mercedes-Benz, Barclaycard, HSBC and Nokia. "Growth of 40% - 60% over the last year...I would not hesitate to recommend membership to any business"
Why do global brands like 3M, GlaxoSmithKline, HSBC, HP, Microsoft and Vodafone—AND thousands of digital marketers and business owners—use Smart Insights Membership to optimise their digital marketing? Because many have grown their business—by over 50%—using the strategies revealed on this page. That’s no accident—it’s a proven system that you can use on your business or clients today. With Smart Insights Membership you'll only focus on the vital tactics, strategies and techniques that yield disproportionately large results (so you'll save time AND turbocharge your digital marketing). Digital marketing is hard, right? Not just once, but time and time again. Whether it’s growing your own—or your employer’s—business, or increasing your client’s bottom line, everyone’s looking at you for fast results. With so much information out there—with everyone telling you that their way is best—it’s tough to know where to start. Choose the wrong information, method, or template and you could waste hundreds of hours of your time (and cost your company or client millions in lost revenue). Not to mention the cost of failure to you professionally. Smart Insights Membership is the secret weapon behind the world's most savvy marketers, and now it's available for everyone. Stuck with a particular aspect of digital marketing, and need to find the answer fast. Overwhelmed by all the advice, buzz and hype in digital marketing. Unsure about where to start, or what to focus on first. Out of date with all the latest changes, new techniques and innovation in the industry. Stressed about creating a strategy that includes all the techniques required for a successful digital marketing campaign. Worried that you're missing out on valuable skills and knowledge to climb the career ladder. ...you’re not alone, but you can change things. No more staring at a blank sheet of paper—you’ll have access to RACE, the world’s best planning framework, to create your integrated digital marketing strategy, and you can get started immediately. 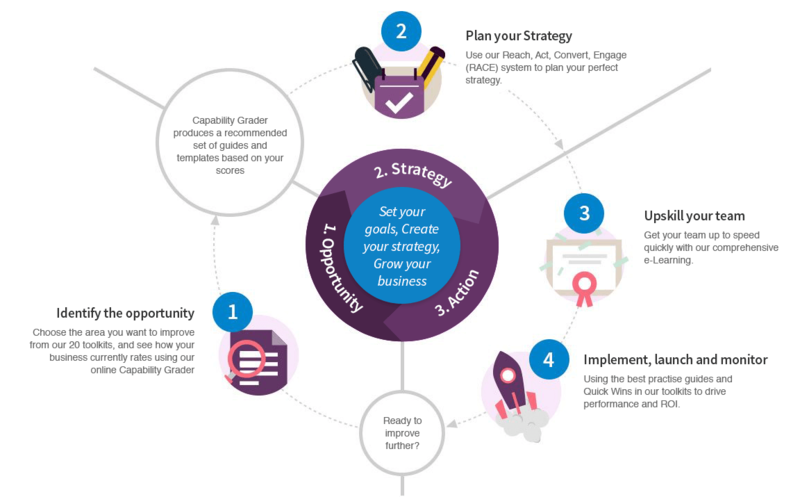 Drive huge growth AND save time by focusing on the critical few activities that will deliver the biggest results—using our fast, easy Interactive Benchmarking tool. Whether you want to drive more traffic to your site from Facebook, improve conversion on mobile, develop a winning email marketing campaign—or any other digital marketing problem—you’ll find a step-by-step roadmap to success in our Digital Marketing Toolkits and Quick Wins. 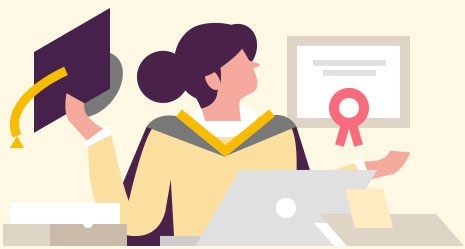 Our 160+ Marketing Guides and Templates show newbies how to cheat the learning curve, and seasoned marketers how to get ahead of the game. Our monthly What's Hot guide is a one-stop-shop to keep you state of the art in all things digital marketing, so you can speak confidently to your peers, and get buy-in and investment from colleagues. Grow yourself professionally and earn more money—successful digital marketing experts are hugely valuable—with our Online Training Courses and Qualifications. Unlike other sites—that just give you research—we only deal in practical, actionable resources that you can use to guarantee success on your projects. Thousands of digital marketers, consultants and businesses owners are using Smart Insights Membership to plan, manage and optimize their marketing. Many have reported wins in excess of 50%. That’s no accident — it’s a proven system that you can use on your business or clients today. And the cost? From just $55 a month. 30 Day Guarantee To guard against abuse of our guarantee—by people less honest than you—we ask that you access a maximum of two paid resources during your first 30 days of membership in order to qualify. ...plus over 150,000 consultants, agencies, entrepreneurs and SMBs in over 100 countries! 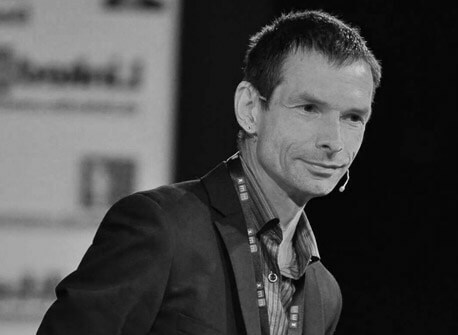 The Smart Insights editorial team is led by Dr Dave Chaffey, a bestselling author on digital marketing and Ecommerce, recognised by the Chartered Institute of Marketing as one of 50 gurus who have “shaped the future of marketing”. Most importantly, Dave has over twenty years practical experience, and understands what it’s like to be in your position. He’s worked with business owners and managers to implement digital marketing strategies in almost every vertical for over a hundred businesses, from the largest like 3M, BP, Barclays, HSBC, Tui Travel, Mercedes Benz, Microsoft and Sony to many smaller businesses and startups. Dave has also trained and advised numerous digital marketing agencies, and has been an online tutor and examiner for the first Masters level MSc Qualification in Digital Marketing from the University of Manchester and the IDM Diploma in Digital Marketing—in fact, he helped devise the syllabus for these sought-after qualifications. Our team includes leading agency owners, in-house experts, industry speakers, consultants, lecturers, authors and trainers—each selected for demonstrating excellence in getting results on specific digital channels for real-world projects with the largest businesses. I recently completed the RACE Digital Strategy Course. It was brilliant, and the 7-Steps guides are excellent resources, too. Thanks for providing such a fantastic collection. Translates complex digital marketing channels into easy-to-understand concepts. Constantly updated with new insights that will help whether you own your own business or work for a large corporation. What do you get as a Premium member? Smart Insights takes the hard work out of finding where to focus your marketing activities with tools to help you improve both your overall marketing strategy and channel tactics. Bespoke to you, and tailored to strategic objectives with advice and recommendations from our library of 20 marketing toolkits. Rapidly benchmark your (or your clients) marketing activities to score the current approach and get recommendations of where to focus in future. 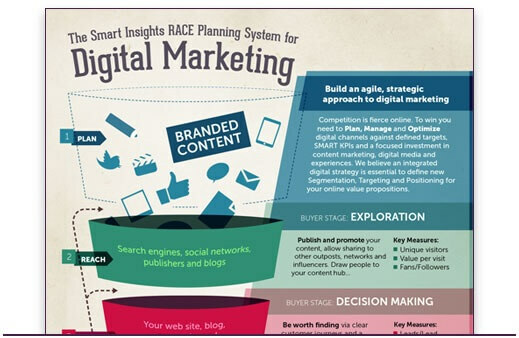 Use the unique Smart Insights Reach, Act, Convert, Engage (RACE) marketing system to prepare your winning strategy. Assess the current digital marketing capability of your (or your clients) business. Follow our step-by-step guides to rapidly create or improve an integrated digital strategy - your roadmap to success. Prioritise your investments in digital marketing to maximise returns. Actionable, step-based techniques that are quick to implement and get you fast results. Their financial planning templates have made my life SO much easier. Tonnes of templates and guides on everything—if you want to be a digital ninja, sign up for Smart Insights, it’s cheap! LIMITED-TIME OFFER—Join NOW and we’ll guarantee this amazingly low price for life! But don't delay—as you read this the Smart Insights team are working like crazy making new templates, guides, resources, toolkits, and videos for paid members. Today's prices can't last. Our world-beating library of 160+ resources is increasing in value every day, so hurry and guarantee these amazing prices before it's too late. 30 Day Guarantee To guard against abuse of our guarantee—by people less honest than you—we ask that you access a maximum of two Expert resources during your first 30 days of membership in order to qualify. Rapidly create or refine a winning digital marketing plan. Don’t start with a blank-page, use our tried-and-tested workbooks, guides and online learning structured around the Smart Insights RACE Planning framework. Digital Marketing Strategy & Planning Digital Marketing Strategy & Planning Learn the fundamentals of defining a marketing strategy to support the future growth of your business. Marketing Strategy and Planning Marketing Strategy and Planning Learn the fundamentals of defining a marketing strategy to create or refine marketing plans to grow your business. Marketing Campaign Planning Marketing Campaign Planning Don't re-invent the wheel with each campaign you run or miss out on best practices to boost results. Use our campaign planning guides and Excel templates to create tried-and-tested integrated campaign plans. To beat the competition, details matter in digital. Use a single source of expert advice to grow your business by following the latest, recommended best practices essential to the future of you and your business. Content Marketing Content Marketing We see content marketing as the fuel for all the core digital marketing activities to engage and persuade your audience. Use our toolkit to develop a more strategic approach and use our templates to manage your content marketing activities. Digital Experience Management Digital Experience Management Learn how to make your mobile and desktop website designs more persuasive using our insight-driven approach. This toolkit explains how to use Google Analytics to identify improvements and recommends web design best practices. Email Marketing & Automation Email Marketing & Automation Email marketing is still the best way to deliver targeted, relevant messages to prospects or customers. Use our Email marketing toolkit so you can use the power of Marketing Automation best practices to get cut-through in the inbox across the customer lifecycle. Search Engine Optimisation Search Engine Optimisation If you get it right, SEO can be a huge competitive advantage in many business sectors. So, it's super-competitive. Check that your approach to SEO is using the latest techniques and best practices with our toolkit. Social Media Marketing Social Media Marketing Review and improve your social media marketing with our toolkit. Use our templates to audit and develop your social media strategy and make better use of the major social networks with the practical tips in our 'Smarter' guides. Google Analytics Google Analytics Google Analytics is a fantastic tool, but to get the most from it and so get more commercial value from your Internet marketing needs careful setup. Our guides take you through the steps to customise it for your business. All Quick Wins included Quick Wins Step-based learning through video and downloadable resources which aims to teach you new techniques you can learn and apply quickly. All Quick Wins are included in all paid membership - we add two new ones every month. Digital Marketing Strategy Qualification Digital Marketing Strategy Qualification Our comprehensive e-learning will help you to learn the fundamentals to plan, manage and optimize your digital marketing strategy. Digital Channel e-learning Digital Channel e-learning E-learning courses in all areas we cover in our Channel Essential Toolkits - only available in Business membership. Invest in our advanced guides and templates to transform your marketing and take your business to the next level. Resources cover the full customer lifecycle from customer acquisition, conversion to retention. Agency Growth and Management Agency Growth and Management Win and keep more clients with our templates to review key agency processes for pitching work and managing projects. Our templates also cover website design and build projects plus inbound campaign planning and management activities. Branding for Businesses Branding for Businesses Ultimately, marketing is one brand competing against another, yet best-practices for branding don't get the attention they deserve. Our digital branding and storytelling guides recommend how to develop your digital brand. Business-to-Business Marketing Business-to-Business Marketing Are you a B2B marketer? Use our resources developed to Plan, Manage and Optimise B2B Digital Marketing. This toolkit includes all our resources developed specifically for integrated Business-to-Business Digital Marketing. Ecommerce / Retail Ecommerce / Retail Our Ecommerce toolkit recommends best practices to increase sales and profitability of transactional ecommerce sites including retail, travel and financial services. The main focus is on multichannel retail sites. Integrated Lifecycle Marketing Integrated Lifecycle Marketing Covers best practices for integrated communications across the full customer lifecycle with separate guides on KPI frameworks and managing customer acquisition, conversion and retention aimed at mid to larger size organisations. Managing Digital Marketing Teams Managing Digital Marketing Teams This toolkit has been created for managers responsible for integrating digital marketing better into their organisations. It reviews the options for structuring marketing teams and roles needed. Managing Digital Transformation Managing Digital Transformation Our Managing Digital Marketing Transformation toolkit gives larger organisations strategic and practical recommendations on how to manage the change, new processes, technologies and teams needed by Digital Transformation. Managing International Marketing Managing International Marketing This toolkit is designed to help medium to large organisation with multiple products manage their marketing campaigns across multiple countries and those looking to start running international marketing campaigns. Startup and Small Business Startup and Small Business The templates and guides in this toolkit will help the owners and marketers working in startups and small businesses to rapidly learn the success factors for increasing online leads and sales for their business. Resources each month Resources each month Each toolkit contains many individual resources. Annual plans give unlimited access. The monthly plan allows 5 resources each month - these accrue each month if unused. Choose the licence you need based on whether you are looking to develop your own personal digital skills or improve digital marketing across a business. Licensing for Licensing for Individual memberships allow you to use the toolkits yourself. Business memberships allow the use of toolkits on your business, or your clients. billed monthly Join Now cancel anytime Cancel Anytime It’s easy to cancel your Membership anytime. You will, of course, retain your membership until the end of your current billing period. billed annually Join Now cancel anytime Cancel Anytime It’s easy to cancel your Membership anytime. You will, of course, retain your membership until the end of your current billing period.